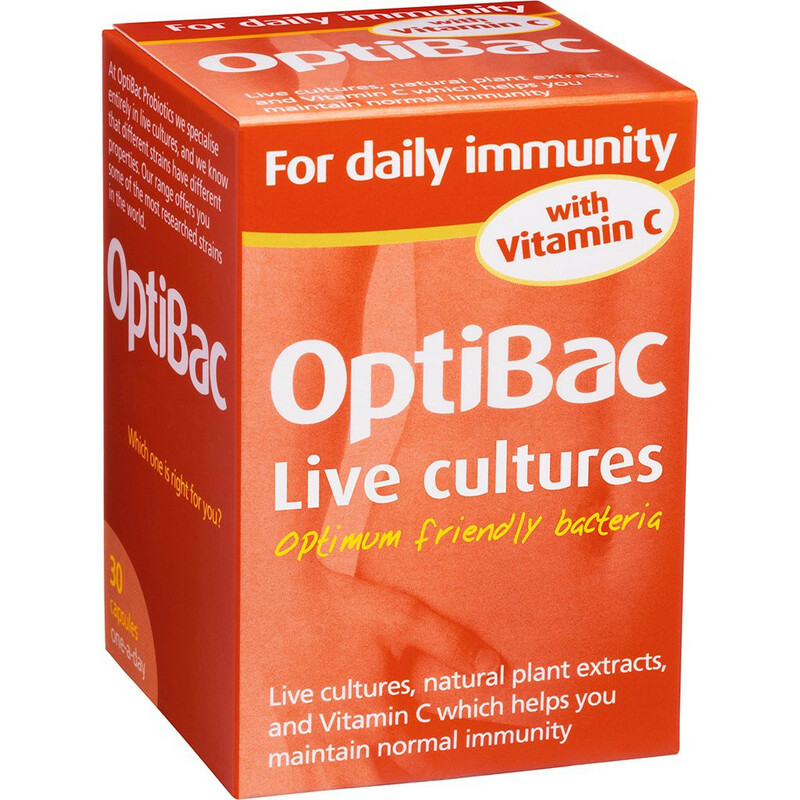 The varied types (strains) of friendly bacteria in OptiBac Probiotics For daily immunity ensure the intestinal lining throughout the gut is well colonised with a healthy coating of friendly bacteria. A strong intestinal lining bars contaminants and harmful bacteria from entering into the bloodstream. A rich probiotic balance also supports immune cells in the intestinal walls to help limit the growth of pathogenic organisms. The antioxidants in For daily immunity are a unique and balanced combination of essential antioxidants as well as other potent natural extracts with very powerful regenerating and free radical neutralising properties. 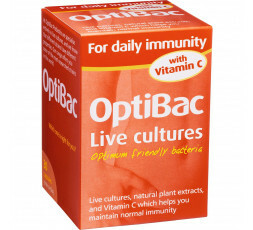 A unique synergy exists between the advanced antioxidants and probiotic blend in this OptiBac Probiotics formula. A healthy probiotic balance enhances nutrient and mineral absorption in the intestines, thereby ensuring that the antioxidants are more efficiently absorbed into the bloodstream and can make their way to the cells and organs where they are needed most. The effect of this synergy makes For daily immunity the best antioxidant formulation available. Antioxidants: Extracts of Grape Seed, Pine Bark, and Green Tea in OptiBac Probiotics For daily immunity contain powerful, natural and hypoallergenic free radical scavengers and bioflavonoid complexes which are rapidly absorbed and distributed throughout the body. These antioxidants seek out the free radicals (chemicals produced from the breakdown of foods that can cause cell damage in the body) and neutralise them. Grape Seed extract contains oligomeric procyanidins (or OPCs) known for their properties in performing regenerative functions such as maintaining the structural strength of blood vessels and assisting in the healthy development of capillary walls. Probiotics: Lactobacillus acidophilus - among the most well researched and documented species of friendly bacteria naturally resident in the human gut. An ability to survive the gastric acids and bile salts expected at mealtimes and to reach the intestines without damage ensures that these health promoting bacteria colonise well in the gut where they support immune cells and create a healthy lactic acid environment that limits survival of harmful bacteria (e.g. Staphylococcus aureus or Bacillus cereus). Bifidobacteria strains: Bifidobacterium longum, Bifidobacterium breve and Bifidobacterium infantis colonise primarily in the large intestine (or colon) where they play important roles in maintaining immunity. In this region they promote the production of antibodies and maintain resistance to infection from undesirable bacteria by competitively excluding their attachment to the intestinal walls. In addition, a healthy balance of bifidobacteria supports the intestines to assist transit and optimise a healthy frequency and regularity of bowel movements. - Take one capsule daily with food or as professionally directed.